Welcome to Landhaus Elke in the Olympic Region Seefeld. Here you are exclusively our guest! 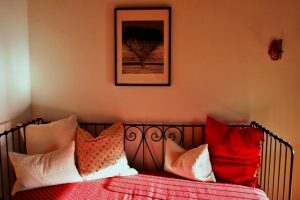 Spend your holidays on 100 m² - the only apartment in the house! Our house is situated in a very quiet and sunny area, the nearby path will guide you directly through large larch forests to Seefeld. 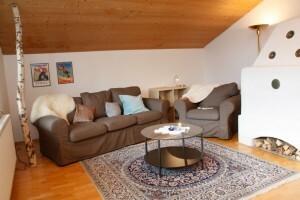 It is a 3 minute car ride to the centre of Seefeld, this is why Landhaus Elke is an ideal starting point for many activities, such as cross-country skiing, hiking or various cultural events.Our cosy apartment (100m²) is individually furnished in authentic country-style and offers lots of opportunities for relaxation and retreat. Our generous balcony offers you a unique view of the Stubai Alps and the famous Kalkkögel. 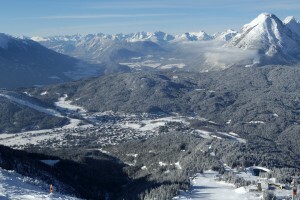 Here you can enjoy the Tyrolean Alps.